Though we spend much of the year working with the 225+ MAiZE locations around the world, our original location here in Utah is where you’ll find us each fall. Cornbelly’s Corn Maze & Pumpkin Fest is really a labor of love for Brett and Nicole Herbst, family and friends. A lot has changed since our early days, as each year we travel the country looking for new ideas and ways to improve. 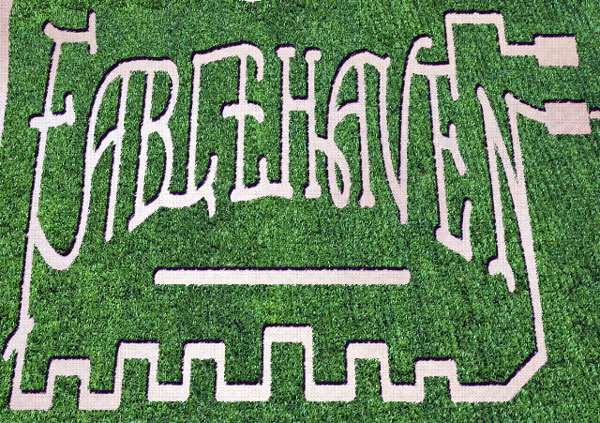 After moving our corn maze to several locations in the last decade, we’ve finally found the perfect home at Thanksgiving Point. Below are some photos from previous years themes. 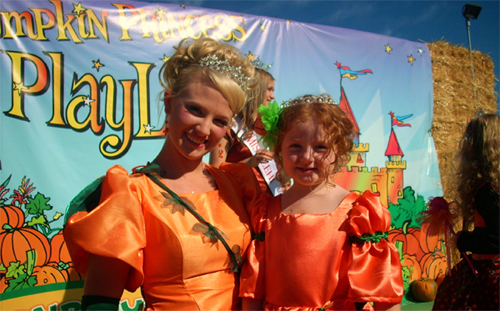 A favorite at Cornbelly’s was the Pumpkin Princess Playland. Your little princes and princesses enchanted by a birthday tea party area, horse-drawn “Cinderella” carriage, pumpkin princess autograph and photo area, small castle for children to play inside of, a “build-a-princess” scarecrow area, and other princess-themed activities. As you stroll through the kiddie maze on designated Saturdays in October, you just might bump into a few loveable characters passing out yummy Halloween treats. Each child will have the chance to trick-or-treat in the corn and find their own candy-filled treats! Check our Schedule of Events for days and times. 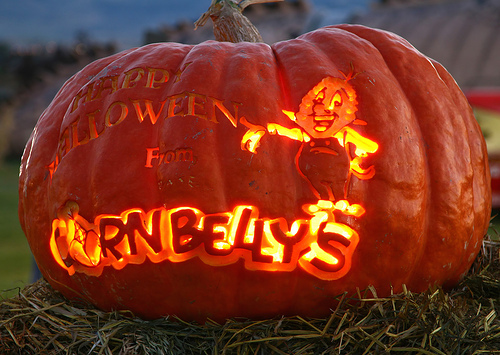 Come and pick ’em … pick out your favorite pumpkin from the hundreds in our bigger and better pick-your-own pumpkin patch. Our pumpkin prices range from $1 to $10. Plus, look for the Spookley the Square Pumpkin storytelling boards along the way.